Governor Palin’s new legal defense fund was greeted enthusiastically by her supporters. We see it as an opportunity to help defray the expenses she and her family incurred as the result of unethical ethics complaints while she served as Governor of Alaska. It is our belief that Governor Palin should not have to personally bear the burden of legal bills that accumulated as the result of harrassment by her political enemies. As we reported here, Attorney Randy Evans spoke out about a year ago, attesting to the legality of the Alaska Fund Trust, which he actually created for Governor Palin. Attorney Evans is an expert on ethics in government and politics, about which he frequently speaks and writes. It took one year, two independent counsels, and tens of thousands of Alaska taxpayer dollars to conclude that former Alaska Gov. Sarah Palin did nothing wrong in connection with a legal defense fund created to pay legal fees resulting from allegations related to her service as governor. Indeed, the story of the endless harassment of Sarah Palin is incredible. As background, in August 2008, GOP Presidential nominee Senator John McCain shocked the political world when he selected then-Alaska Gov. Sarah Palin as his vice presidential running mate. Her selection triggered an avalanche of meritless “ethics complaints.” Unfortunately, the choices for dealing with such politically motivated distractions were limited. Gov. Palin could have legally made a private appeal for cash from undisclosed donors to be sent to her home address. She did not. She could have asked for a special appropriation of Alaska tax dollars to pay for expenses incurred as a consequence of her service to Alaska. She did not. Instead, she opted for the most transparent, limited, and restrictive option available — the creation of a legal defense fund, following the precedent set by both Democratic and Republican national leaders before. Yet, because she is who she is, everyone knew that any trust fund associated with her would be subject to unprecedented attack. For this reason, the language of the proposed trust fund was drafted to directly mirror the language and provisions used by the John Kerry Trust fund. Indeed, former Democratic Presidential nominee Senator Kerry’s trust was drafted by Perkins Coie, President Barack Obama’s law firm. On cue, within minutes of the announcement of Governor Palin’s trust, a complaint was filed. And, the first “independent counsel” selected to investigate the trust was none other than the Alaska office of Perkins Coie. Apparently before realizing that Governor Palin’s trust was nearly identical to the trust Perkins Coie prepared for John Kerry, the Perkins Coie “independent counsel” found in a detailed nine page “CONFIDENTIAL” letter — that was promptly leaked to the media — that Gov. Palin’s trust was illegal. Ridicule ensued. In addition, once the conflict of interest between representing President Obama and investigating Gov. Sarah Palin became public, the Perkins Coie “independent counsel” resigned. And so, a new second “independent counsel” (with no background or expertise in the area of legal expense funds) began the investigation anew. In an unprecedented move of total transparency, Governor Sarah Palin waived her attorney-client privilege so that she and her lawyers could answer every question regarding the creation and formation of her legal expense fund trust. After months of flyspecking every document, e-mail, and statement, the second independent counsel issued a new nine page detailed report citing two new supposed violations of the Alaska Ethics Act that were, interestingly enough, not even mentioned in the Perkins Coie report. First, the new report challenges the use of the word “official” to distinguish Gov. Palin’s legal expense fund from all other funds, including fraudulent funds. In fairness, as word leaked out that a legal expense fund was being created for Gov. 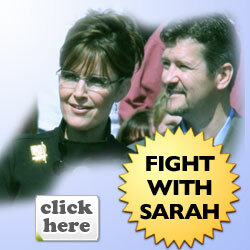 Palin, numerous unauthorized funds started to pop up on the internet, with at least one collecting thousands of dollars. The question was how to protect innocent donors from sending money to internet scammers. The answer was to identify the official trust as the “official” (not “Official”) legal expense fund. Importantly, there were no references to anything “Official” on the website or in the trust. So, the website did not include the Alaska flag, the Official portrait (picture), the Alaska seal, and so on and so on. Absolutely nothing “Official” was included. Within this context, the accusation regarding the use of the word “official” became just silly. Second, the new report questioned whether trustee Kristan Cole, who serves on various boards in Alaska, could serve also as the trustee. So, if the original complaint never complained about Kristen Cole as the trustee, and the Perkins Coie specialists never raised the issue, and there was never any hint of impropriety, what is the problem? Well, basically, the new counsel thinks that “as a matter of policy and good government,” public officials “should” not be allowed to serve as trustees. Enough said. The fact is that as this process continued, a clear picture emerged. This whole thing was never about the trust at all. It was just more harassment. All Gov. Palin wanted to do was get it right and that is what the independent counsel found. At least, he got that part right. Randy Evans is an Atlanta attorney with McKenna Long & Aldrige LLP. He is the former General Counsel of the Georgia Republican Party and remains active in the party on both the state and national level. He can be reached at http://www.mckennalong.com or McKenna Long & Aldrige LLP, Suite 5300, 303 Peachtree St., Atlanta, GA 30308. Last year, the Alaska Fund Trust was established to raise money to defend Gov. Palin against frivolous ethics complaints and lawsuits that were filed against her in a coordinated effort to drive her out of office. On June 24, 2010, the Alaska Fund Trust was replaced by Sarah Palin Legal Defense Fund. Those of you who donated to the Alaska Fund Trust will be receiving refunds within 90 days from June 24. You will have the option to re-donate these funds to the new Sarah Palin Legal Defense Fund, which is the official, and legitimate fund now in existence. Please re-donate those funds to the Sarah Palin Legal Defense Fund. US for Palin agrees that we should relieve Governor Palin of this incredible burden that no citizen should have to bear and that she should be free to speak out on behalf of conservatives all across this great country. So, we have come up with a fun way to help the Sarah Palin Legal Defense Fund achieve its goals, and do some simultaneous 2012 Draft work. From now until July 31, this site’s publisher will “fly ‘Sarah Palin'” from her home airport in Wasilla, AK to Washington’s Reagan National in a Cessna 172, on Microsoft’s Flight Simulator X making over 12 stops along the way. The flights will closely mirror real instrument and visual conditions. Throughout her journey, which will require over 30 hours of flight time, “Sarah” will perform activities similar to the real Gov. Palin. There will be high-level trade meetings in Canada and a stop at Eureka College. A real flight from Wasilla to KDCA would cost $4000 in flight time alone for a rented 172 at $130/hour, with final costs reaching or exceeding $20,000 for food, lodging, fuel, etc. We chose this plane, because aside from being the one the publisher is familiar with, it is perfect for a low-and-slow fund-raiser trip such as this one. Select an amount you would like to donate to the Sarah Palin Legal Defense Fund to sponsor this “flight”. Come to US for Palin, click any of the Sarah Palin Legal Defense Fund Images which appear on the site and make your donation. Follow the “flight” along as each segment of the journey is posted and enjoy. There is no need to email us donation amounts or post them on comments. As long as you donate through an US for Palin graphic or hyperlink to the Sarah Palin Legal Defense Fund, we’ll know about it. Let’s help the Sarah Palin Legal Defense Fund reach new heights and get Gov. Palin to Washington! The ADP’s “Keep Sarah Palin Out of Public Office” campaign used our own legal system to sponsor more than two dozen ethics complaints against Governor Palin. Out of the 27 complaints, 26 were dismissed! The so-called “independent counsel” who started the investigation into the Alaska Fund Trust and who took issue with the word “official” was an attorney from President Barack Obama’s law firm. The word “official” was used so that supporters would know it was not just approved by the family, but that it complied with disclosure requirements, had professional management, created limits on who could donate and how much could be donated, and a variety of other restrictions that made it a very conservative and limited trust. Further, the word “official” was used to distinguish the Alaska Fund Trust from other legal defense funds that were starting to pop up and no one knew if these would comply with disclosure laws, lobbyist restrictions, etc.